Whether it is something to do with the fact that I am now (whispers) 35, but the length I prefer on dresses and skirts has definitely lengthened. Up until the past couple of years I was happy to wear an above the knee length but now when out shopping I finding myself leaning towards the below the knee and midi lengths. Myself and leggings have never really taken to each other so they are not an option for the shorter lengths either. How something fits is equally growing more important as the years go by in that I no longer want to have to compromise on the fit. What I think that we all tend to forget, or at least me anyway, is that we don't have to compromise on fit and lengths can be changed according to what you want. Sewing services are available everywhere and for between £8.00 - £10.00 (Lancashire pricing anyway) you can get items altered to how you want them to look. Whenever I go shopping now I always bear this in mind and when I see a dress (my go to item as you know) I always kept seamstress services in mind. 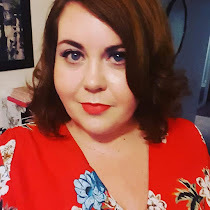 This dress for example I bought in a recent shopping trip to Manchester at +Yours Clothing The dress started out as a maxi dress but straight off the hanger I knew that, on me, it would work perfectly at a just under the knee length. So I bought it and had it altered to how I wanted (seamstress in this case being my talented mum). Having tried the dress on I think we ended up taking about 5 inches off the dress and it really does make a difference. Have you been making your fashion work for you lately?